The target article is from the NY Times, headlined Trump Gives Health Workers New Religious Liberty Protections. In our world of alternative everythings, I propose alternative headlines: “Trump shreds Firewall Between Church and State” or “Trump Channels Elmer Gantry.” Here are snippets. The Trump administration announced on Thursday that it was expanding religious freedom protections for doctors, nurses and other health care workers who object to performing procedures like abortion and gender reassignment surgery, satisfying religious conservatives who have pushed for legal sanctuary from the federal government. The new steps, which include the creation of an oversight entity within the Department of Health and Human Services called the Conscience and Religious Freedom Division, are the latest efforts by President Trump to meet the demands of one of his most loyal constituencies. They coincide with Mr. Trump’s planned address on Friday to abortion opponents at the annual March for Life in Washington. For religious conservatives, the new protections address long-held concerns that religious people could be forced to comply with laws and regulations that violate their religious beliefs. Roger Severino, the director of the office for civil rights at the Department of Health and Human Services, promised that he and his staff would investigate every complaint of a violation of “conscience rights” protected by federal law. But civil rights, gay rights and abortion rights groups, as well as some medical organizations, expressed alarm at a move they described as part of a systematic effort by the Trump administration to legitimize discrimination. Their concern is not limited to the executive branch. Mr. Trump has appointed judges to powerful appellate courts at a rate faster than any new president since Richard M. Nixon, and the Republican-controlled Senate is working to speed the approval of Mr. Trump’s lower-level district court nominees. The White House’s efforts to appeal to the religious right appear to have given Mr. Trump a thick insulation from the scandals that might otherwise undermine his support among churchgoing conservatives, like the recent allegations that he cheated on his wife with a pornographic film actress who was reportedly paid $130,000 in hush money shortly before the 2016 election. See the accompanying post this morning on the $130,000 scandal. If the report involving the actress bothered religious conservatives, most were keeping quiet. Outside the religious conservative movement, the recent moves have won little applause. So the religious right has sold their soul to a liar and philanderer. 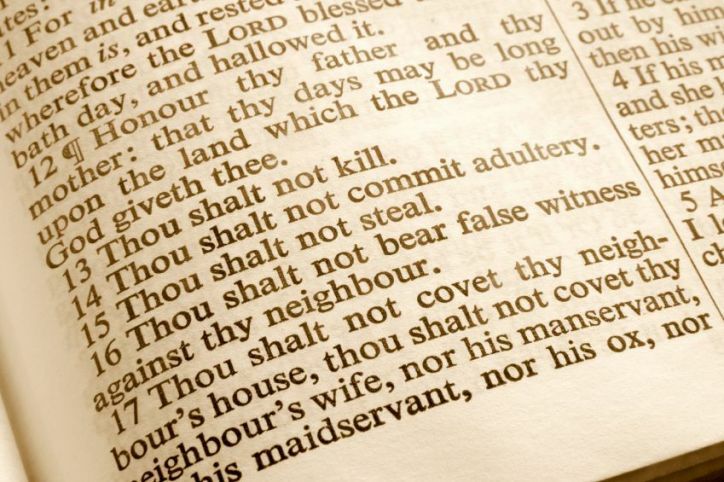 What ever happened to “Thou shalt not commit adultery”? Never mind, these hypocrites say. Why let a little principle get in way of politics? The Daily Star this morning carried this AP report, Trump tells March for Life: ‘We are with you all the way’. The Department of Health and Human Services spelled out plans to protect medical providers who refuse to perform procedures such as abortions because of moral or religious scruples. HHS also pulled back an Obama-era policy that posed a legal roadblock to conservative states trying to cut Medicaid funds for Planned Parenthood. But, apparently, not if that “life” is labeled DACA or CHIP or Haitian or women or poor or sick. To add to Trump’s many sins, we are now on the way to a state-sponsored religion.